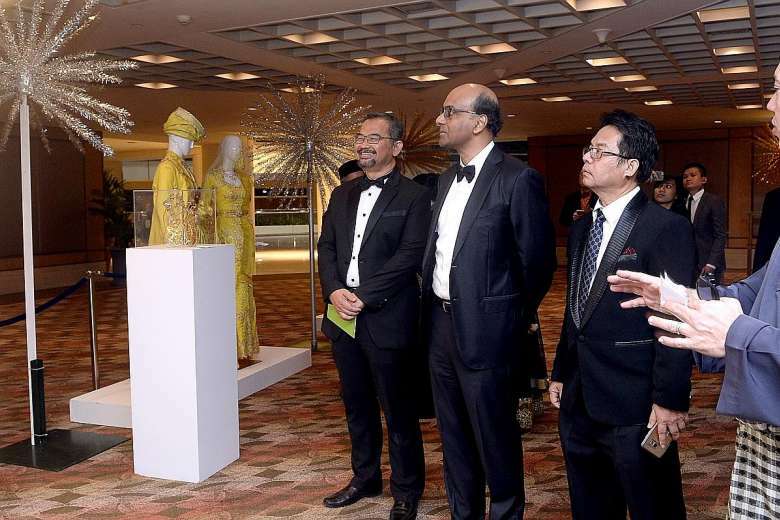 A hub to help firms get a slice of the global halal food market is being set up here, said Deputy Prime Minister Tharman Shanmugaratnam last night. Speaking at a charity gala dinner held by the Singapore Malay Chamber of Commerce and Industry (SMCCI) to celebrate its 60th anniversary, he said the hub would allow companies to share resources for product development, production and distribution. He noted that the hub, which is being backed by SMCCI along with Spring Singapore and International Enterprise Singapore, would identify food firms that are keen to scale up their halal exports. Industrial space landlord JTC would identify suitable sites for the facility, he added. He urged local firms to look into the “untapped potential” in the “internationalisation of local food products”, particularly in the global halal food market, which is valued at more than US$1.1 trillion (S$1.4 trillion). “Singapore companies are well positioned to play a bigger role in this market, given the trust in the quality of Singapore-made products and our Majis Ugama Islam Singapura (MUIS) certification,” he said. Singapore’s multicultural background could also help bridge the need for halal products among Muslim communities and tourists in markets such as Japan, South Korea, Africa, China and Taiwan, he pointed out.